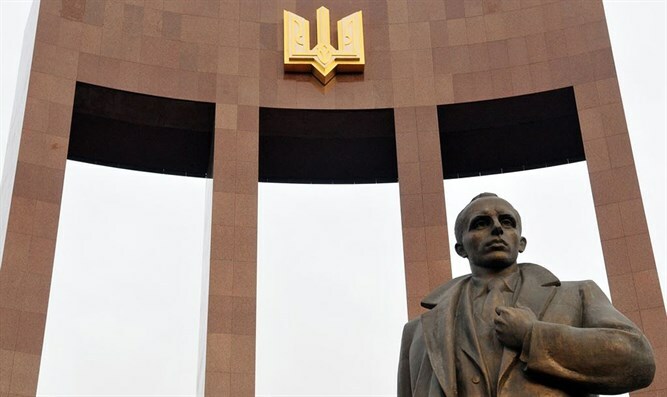 Veneration of pro-Nazi collaborators raises concerns among Ukrainian Jews. When Vladimir Putin grabbed Crimea from Ukraine in 2014, the Russian president claimed it was to protect minorities from anti-Semitic fascists whom Putin maintained were behind the revolution that year that ousted his ally in Kiev, former President Viktor Yanukovych. Two years on, however, even Zissels is confessing his discomfort at the post-revolution government’s controversial veneration of local pro-Nazi collaborators -- amid an explosion of nationalist and anti-Russian sentiment -- who were responsible for the murder of countless Jews and Poles during World War II.